Have you ever sat in a sacrament meeting where the speaker quoted scripture after scripture, and you couldn’t quite follow? Or have you listened to a talk where the speaker related a lengthy narrative, and you couldn’t figure out why? How many times have you been asked to give a talk, and then struggled with trying to keep from putting the congregation to sleep? On the other hand, have you noticed how your children seem to all be snoozing off while watching general conference, until President Monson begins to tell a story? And then, suddenly, everyone perks up and pays attention? Stories have a way to captivate people that other teaching methods don’t, and they can teach those principles more effectively, too. Stories provide concrete context for abstract concepts like faith and integrity. They directly show how correctly-applied gospel principles can bring specific blessings. 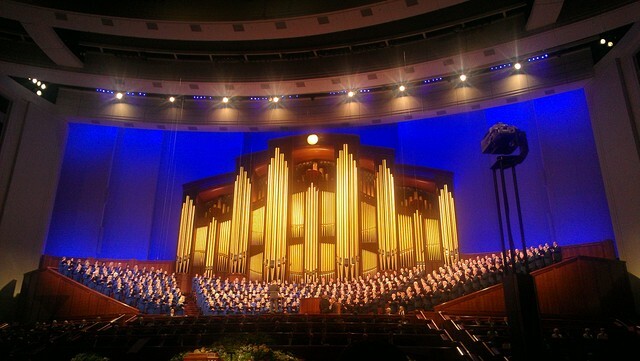 As an added bonus, stories are also interesting and easy to remember—who can forget from the most recent conference, President Monson’s story about accidentally setting a field on fire a Vivian Park, and its moral about the importance of obedience? 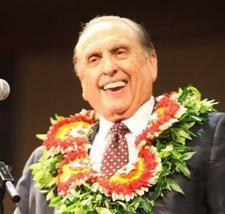 Indeed, President Monson has mastered the art of storytelling. Ever since he was inducted into the Quorum of the Twelve 50 years ago, he has been charming congregations by the millions with touching and true stories that illustrate the gospel principles he teaches. Inspired by President Monson’s engaging and unique narrative style, and in celebration of his 50 years as an apostle, here are five steps to help you more masterfully use storytelling in your next talk. 1. Use a true story. The spirit testifies of truth, so beginning with a true story is always best. True stories are more powerful and relevant to your audience. Remember that President Monson often tells stories from the lives of other people, so if you don’t have a relevant experience, look for another’s. One great resource is a collection of 50 stories President Monson himself has shared during his 50 years as an apostle, available now: Consider the Blessings: True Accounts of God’s Hand in Our Lives. 2. Ask, “How does this story illustrate my main message?” If you’re speaking on tithing and the story you want to tell is about prayer, forcing a connection can confuse your listeners. The more on-point your story is, the easier it will be to explain and fit in to the rest of your talk. 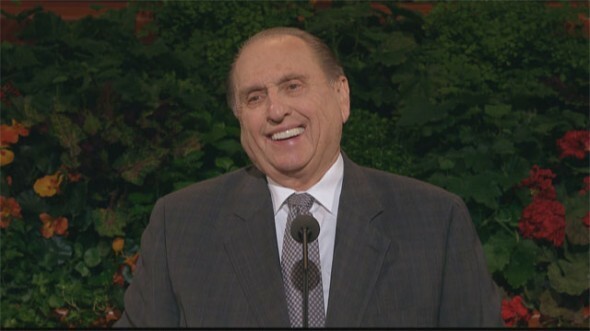 You will never find an irrelevant or tangential story in any of President Monson’s addresses. 3. Keep it short and sweet. A single story should not comprise the majority of your talk. Even though most people are naturally interested in narratives, if a story’s too long, their attention will wander, and they will wonder what the point is. Remember your purpose and cut any details that don’t directly support that message. President Monson often does this by using phrases like, “tears were shed,” or even simply, “time passed,” to gloss over unnecessary details. Try adding a story to your next talk. Don’t worry if you’re not master storyteller like President Monson; nobody expects brilliant oratory from a sacrament meeting talk. Instead, remember that a well-told story can illustrate your point and help the congregation remember what you’re teaching more easily. This makes you a more engaging speaker, and more importantly, a better conduit for the spirit. To get a better feel for President Monson’s storytelling style, check out Consider the Blessings: True Accounts of God’s Hand in Our Lives, and get more tips on writing a great sacrament talk here.